Ashok specialises in commercial and common law. Ashok takes instructions in both trial and appellate work, including applications to the Equity Division in appropriate cases. He also practises in criminal law, where he appears in both summary and indictable jurisdictions and has worked in many jury trials. 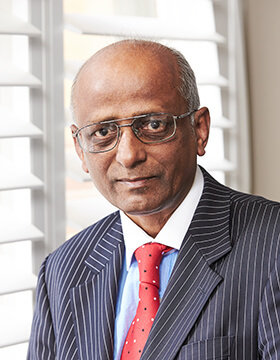 Ashok has more recently appeared on behalf of both lessors and lessees in disputes over leases, mortgages and conveyancing matters in the Supreme Court. He has been an annual presenter for the Indian National Bar Association, New Delhi since 2014 on the subject of taxes and GST, has presented papers for Lexis Nexis CPD conference for lawyers and chaired CPD presentations for the NSW Bar Association. He completed a Dip. Law (LPAB) in 1996, a Graduate Certificate in Dispute Resolution from UTS in 1996 and an LLM at Sydney University in 1998.